Let's be honest...when climbing the corporate ladder, many of us spend way too much time focusing on what the next guy/gal is doing. We take the precious time we could be spending nurturing our own careers, and we use it to concern ourselves with someone else's moves: what are they doing...how much are they making...does he/she do his/her job better than me. Worrying about someone else's moves can cause you to lose focus of your own goals and achieving your own successes. For those of you who find yourself way too enthralled with another person's path, may I suggest the following: stop worrying about the next person, and DO YOU! Now, there's nothing wrong with glancing across the hall to see what another individual is doing. You may even take a moment to learn about that individual's process so as to help you adjust your path. After all, if this individual can teach you something that will help you along the way, you owe it to yourself to take advantage of the opportunity. But the moment you find yourself wondering about that individual's path with an envious eye, you are putting your goals in jeopardy...and you're, in essence, being a hater. Wouldn't your time be better spent working on your own self-improvement and your own career climb? I'll stop preaching, but I wanted to leave you all with this: take the time you spend worrying about what someone else is doing and what someone else is getting, and apply it to reaching your goals. 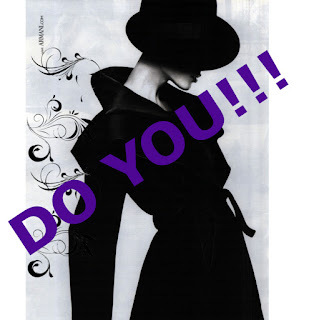 DO YOU! You preaching good sis! I know many folks like this, always watching and asking about other people, I'm always like "good for them" ESP when it's folks of color! I think I always have tunnel vision so I never mind other folks lol great post!